As Charlotte native and a member of a particularly social Southern Baptist family, growing up, covered dishes and after church Sunday school banquets were a regular occasion for my sister and me. Long tables covered with southern staples, like mac and cheese, cornbread, pasta salad, fruit salad, green bean casserole and buckets, boxes, glass dishes, and styrofoam takeout containers full of fried chicken supplied at least one Sunday lunch a month for many years of my life… and hopefully many more. 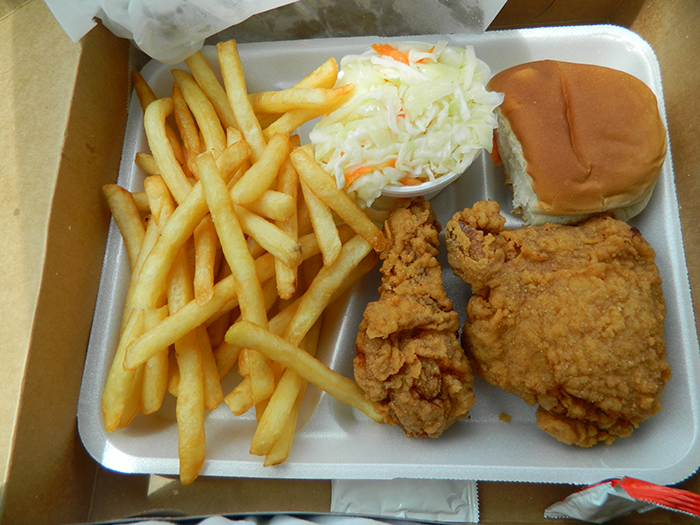 I learned very early on that, when push came to shove, all I really cared about on those endless banquet tables was the fried chicken, a southern delicacy that remains one of my favorite dishes to this day. 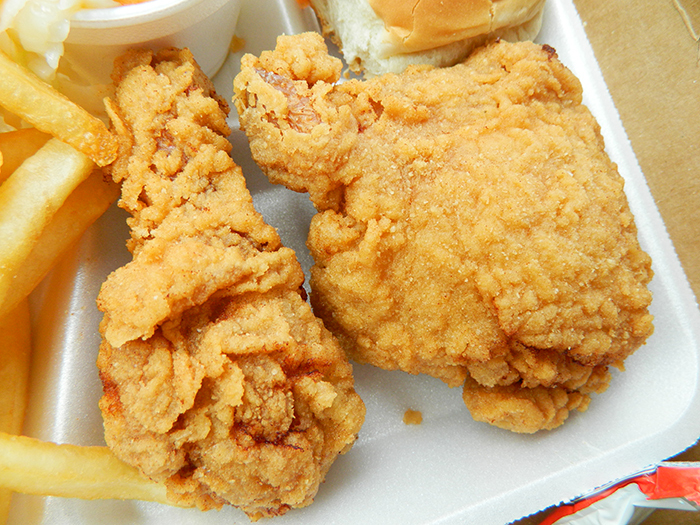 As a grown person, this love for fried chicken has expanded to cover the greater Charlotte area and after trying every kind of fried bird in Mecklenburg County, I’m pretty sure I’ve come up with the quintessential top 5 best places for crispy, tender, juicy fried chicken in Charlotte. Jim Noble’s Uptown eatery makes delicious fried chicken complete with the southern fixin’s and in a restaurant with Uptown date-quality atmosphere. Better yet, 100% of the profits go to feeding the poor in the Charlotte region. The King’s Kitchen employs the less fortunate and the money from the excellent food goes to organizations that help feed the less fortunate. I cannot make a more confident recommendation. I was hesitant to put the Bo’ on this list, but their chicken is the truth. In the words of my grandfather, these folks serve “gospel bird”. 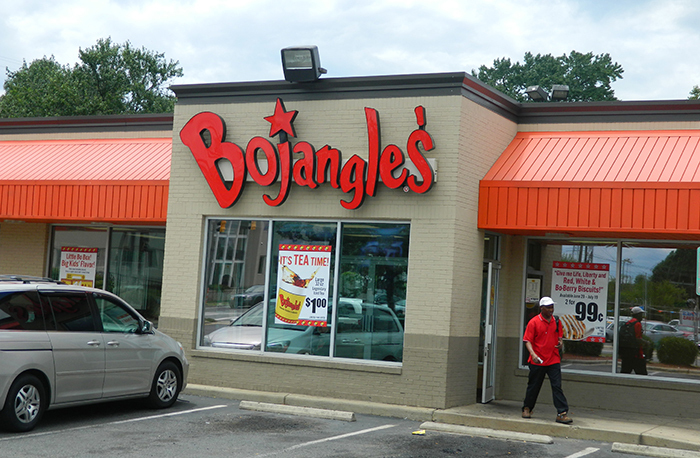 Bojangles’ is what you tailgate Panthers’ games with, it’s what you take to church luncheons and if you get it fresh from the fryer it is simply unbeatable. Perfectly seasoned with pockets of cayenne pepper and a great consistently crispy crust. 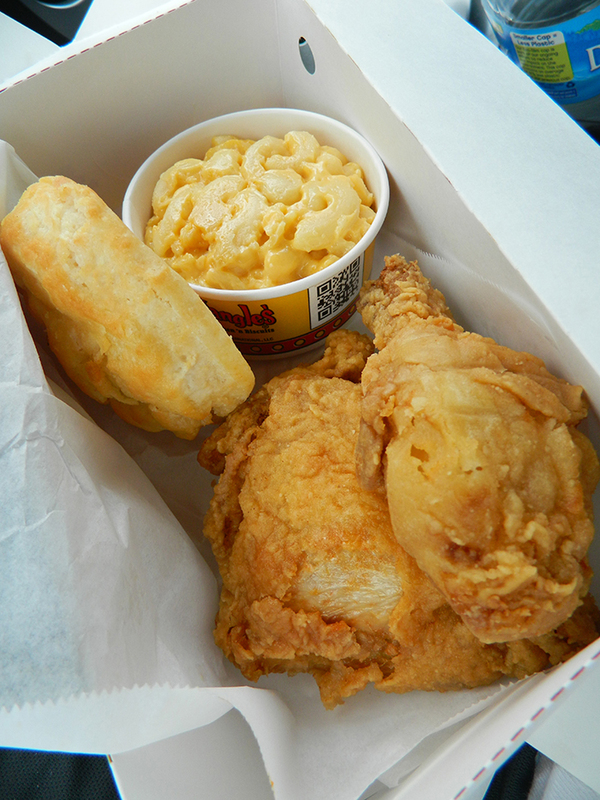 As far as fast food goes, there might not be better and as far as fried chicken goes, the Bo’ bats in the big leagues. 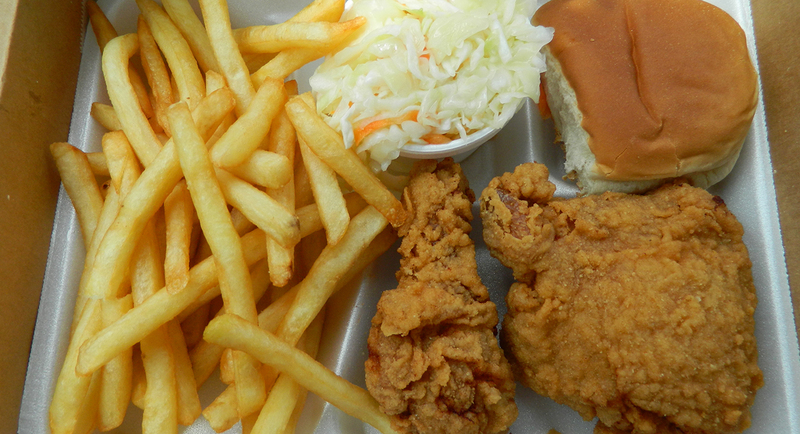 South 21 Jr on the corner of University City Blvd and N. Tryon may be better known for their infamous “Super Boy” Burger but their Thursday special golden fried chicken is some of the best in Charlotte. They specifically warn you about the 20-minute wait for this dish because they are frying up chicken to order –guaranteeing rocket hot, extra crispy, lightly salty fried goodness. 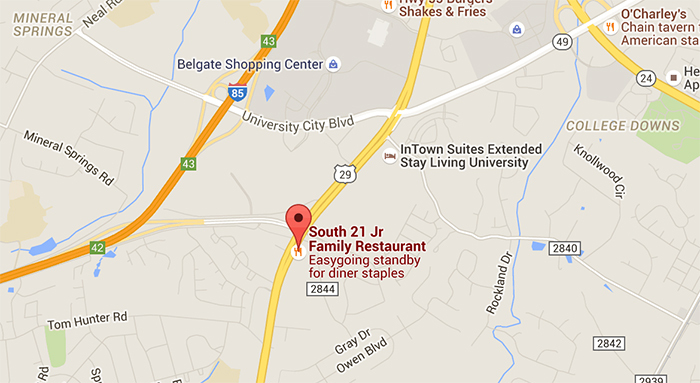 And these folks are some of the friendliest in Charlotte – great service and surprisingly excellent chicken. 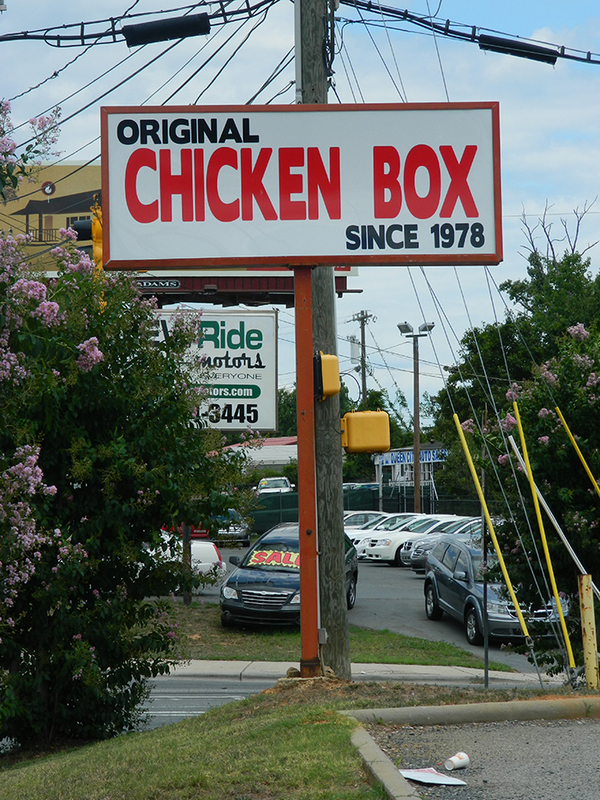 The Chicken Box is currently single handedly fueling the construction of the N. Tryon light rail line expansion. 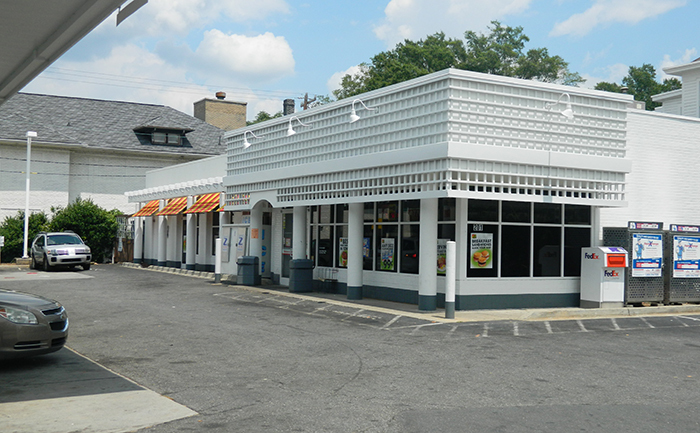 If you visit this former fast food joint turn fried chicken emporium during a weekday lunch time, be prepared to wait in line for a while behind Charlotte’s finest construction crews. 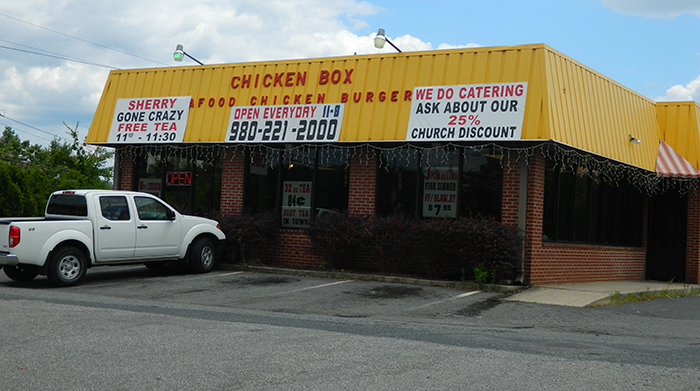 Huge portions, excellent seasoning with black pepper and a hint of warm spice, great crust texture and truly unbeatable prices separates the Chicken Box from the competition. Two pieces of chicken and a soft butter roll run you 2 bucks and change. You simply cannot find better quality for the money. 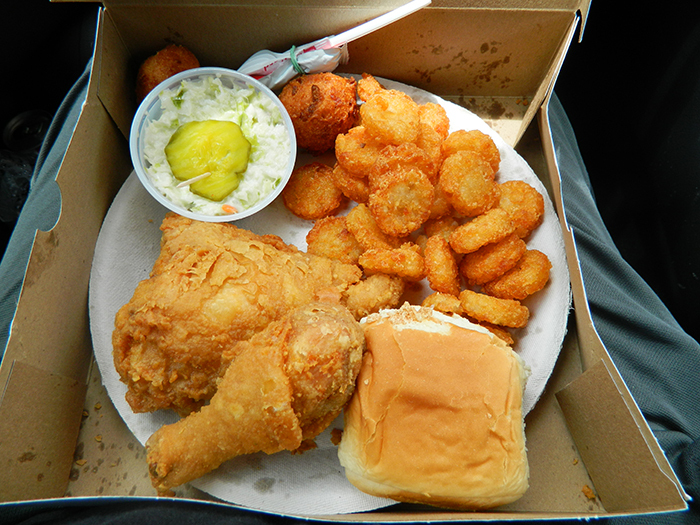 Featured in foodie magazines, cable television shows and newspaper articles for as long as I can remember, the chicken in the iconic white cardboard box is as good as the rumors you hear. 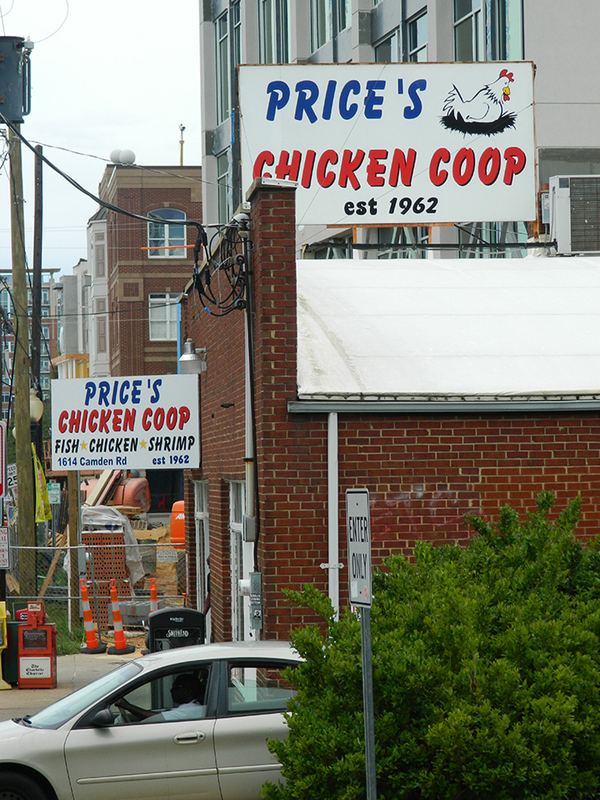 This South End legend is still cranking out, arguably, the city’s best tasting chicken – and the people agree. If you ask any of your friends where to get the best chicken Charlotte has to often, there’s a good chance they mention this standing room only hole-in-the-wall. Your friends might not be wrong either, their chicken is incredibly tender and juicy and I feel like their dark meat pieces always have way more meat on them than chicken I get elsewhere. Their sides are unbeatable too – they made a coleslaw believer out me. Can’t go wrong with Price’s, they get the publicity for a reason. 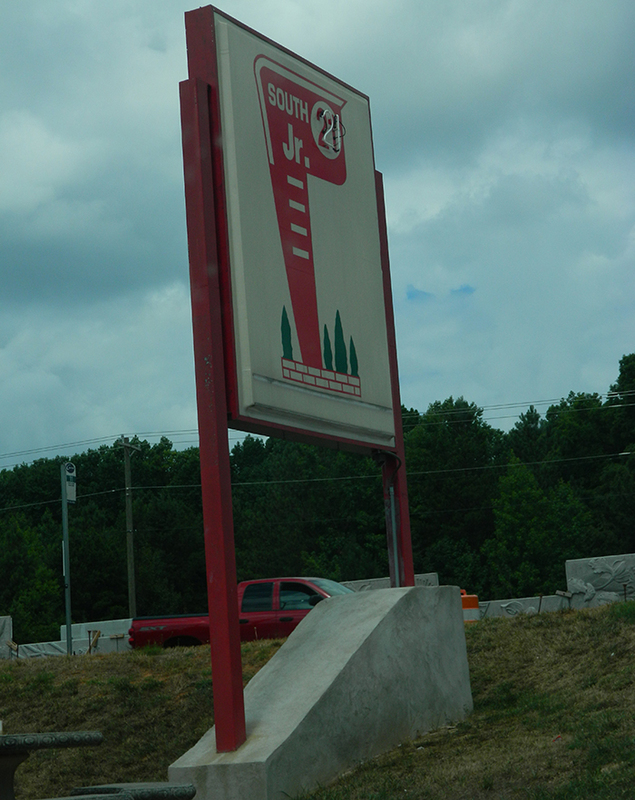 On the corner of South and East Blvd there is a Shell gas station. 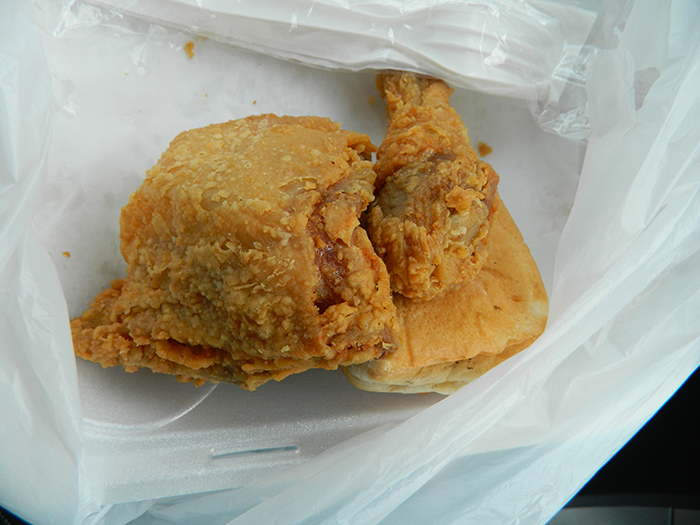 Inside an unmarked white convenience store that is crammed into the corner of the lot, there lies the Holy Grail of Charlotte fried chicken. There is a dedicated lunch crowd in on the spot, but the handful of southern ladies that cook up the chicken – specifically the spicy variety (be sure to ask for the spicy) – are the best kept food secret in town. 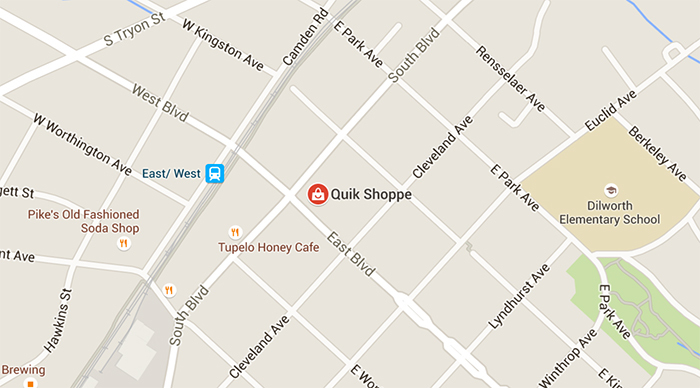 Be sure to get there early (around 11 am) to get it before it’s gone. The seasoning on this chicken is perfect, the breading is perfect and the meat is firm but falls away from the bone with barely a nudge. 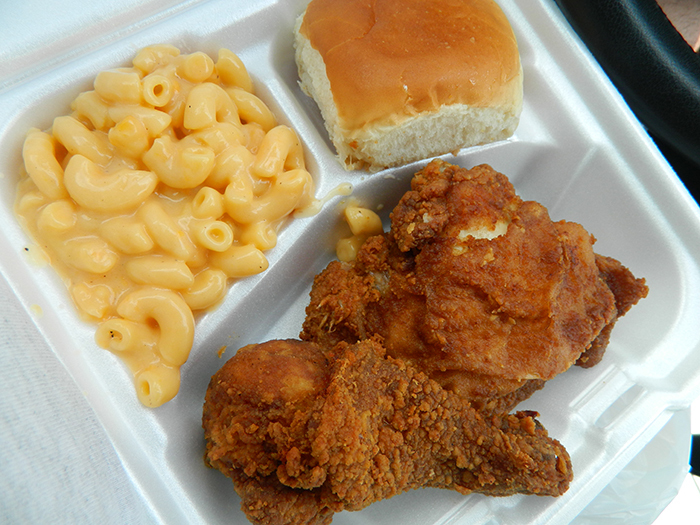 I actually had to sit down and compose myself on the curb after I took my first bite of their chicken. It is with out a doubt in my mind Charlotte’s best.